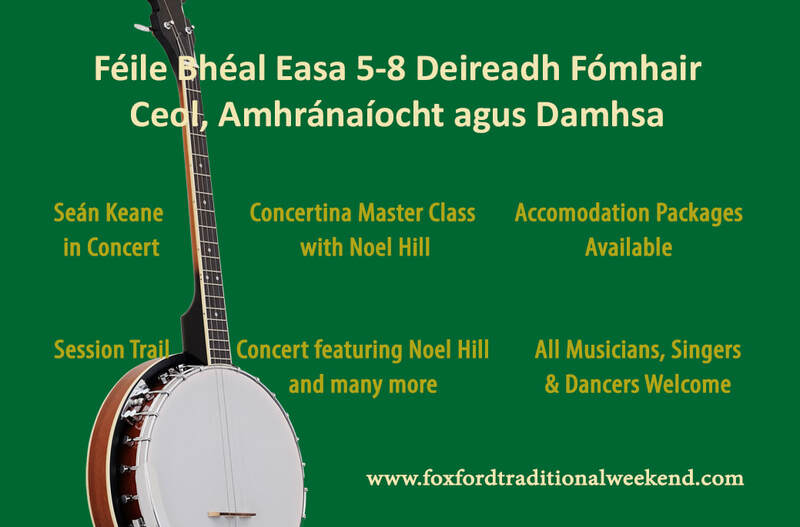 A weekend of Traditional Irish Music, Song & Dance for all ages with concerts, master classes, workshops, sean-nós dance competitions, music sessions and lots, lots more. Foxford is a small town in county Mayo, on the west coast of Ireland, steeped in Irish music. 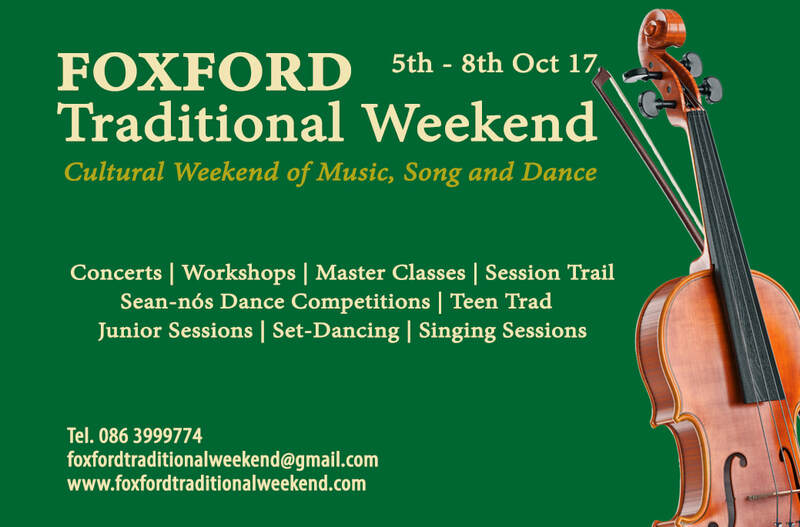 And so Foxford prepares to welcomes you to the fourth annual Foxford Traditional Weekend. Our aim is to bring our local growing culture of Irish Music, Song and Dance to an accessible and fun environment, where all ages can learn and further their skills at our workshops or just come along and soak up the atmosphere. We would love to see your photos and video clips from the weekend! Please give the pdf a moment to focus once you increase size. Thank you.